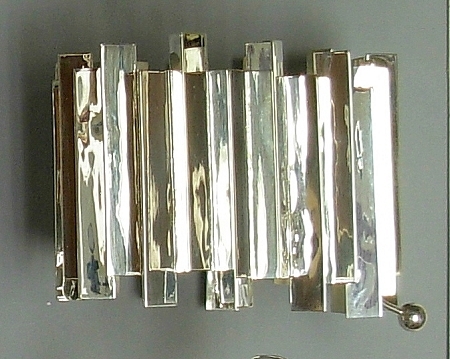 Linear Jewelry - This is a unique and bold handcrafted sterling silver bracelet that makes a big statement. 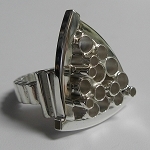 The wide cuff is created from triangle silver tubing soldered together. A pin closure allows the dramatic cuff to move freely without falling off. From our Geometric Collection, this is a classic handcrafted sterling silver bracelet that is bold and makes a statement. The bracelet is constructed from many long triangular tubes soldered together. A pin closure allows the bracelet to fit a bit loose to allow movement, but still stay secure on the wrist.